Note: Their site is slow to load. Also mobile users might have to select the view desktop option on your phone to see the tab. Click here to visit their facebook and like them. 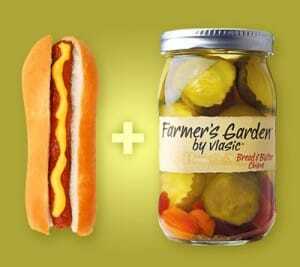 Then on the “Farmers Garden” tab, click “Click for coupon.” Then just print the coupon for a free jar Vlasic Farmer’s Garden Pickles on the next page. Don’t worry about it if you didn’t get one. I did, but…. Went to WalMart to use it and they refused – practically accused me of coupon fraud. Said I wasn’t the only one that tried to ‘pass it off’ today. Oh well. Pamela, I have the same problem when I try to print in Firefox. Try Chrome or IE they work for me. Donna, same thing happened to me. Walmart needs to train their employees better. I was told I must have a duplicate coupon and that is why the register would not take it. I did my own investigating and found out it is Walmarts policy not to accept coupons for free items. I was able to use the coupon at the local grocery store (Ralphs).